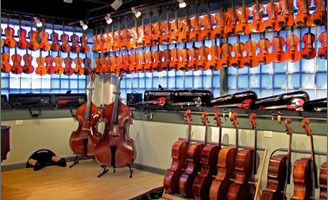 The Vision line of strings offer many choices. Standard Vision are a great value for general use. Titanium offer high tension power and response for soloistic performance. Titanium Orchestra is a slightly lighter gauge with broader dynamic range. Vision Solo are a happy medium between Vision, and Vision Titanium. 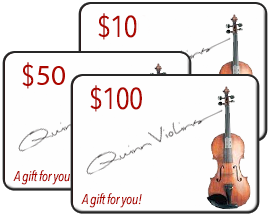 All offer a clear and complex tone. 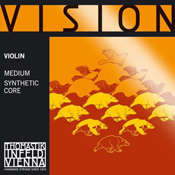 Vision is one of the only professional-quality string choices available for fractional sized instruments.